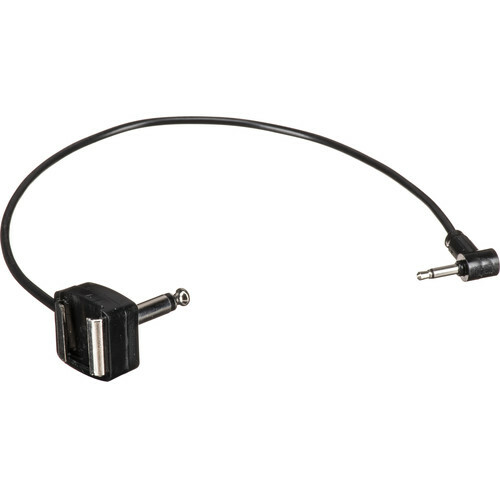 The Paramount PW-MLCS 1/4" Phono Plug to PocketWizard sync cord allows you to plug a shoe mount PocketWizard receiver or transceiver directly into the 1/4" sync outlet of your flash or pack. This cord prevents possible damage of the PocketWizard as it dangles from a cable, as well as saving time and the gaffer's tape it takes to otherwise secure it. Box Dimensions (LxWxH) 10.0 x 4.0 x 0.2"
PW-MLCS 1/4" Phono Plug to Pocket Wizard is rated 4.0 out of 5 by 4. Rated 4 out of 5 by Matt from Keeps my PocketWizard in check! This is just a handy piece of kit to keep my PocketWizard or similar device from falling all over the place when connected to a generator. Construction looks cheap. Brilliant! Rated 5 out of 5 by Anonymous from Works great with Calumet Travelite I tried it before a shoot and it worked fine. During the shoot, I was a bit nervous but it worked flawlessly. Rated 2 out of 5 by Anonymous from Item not as pictured! I bought two. Pity me. A great idea in theory, but, unfortunately, firstly, it does not fit into my Profoto Compact monolights, because the plug is different, not as shown in the B&H picture. And secondly, the Shoe is super-tight for Pocket Wizard.